Well, You are here, on our Blog’s Content Disclosure Policy page. It is only fair we do that Instead of talking, shall we? We Make money via Amazon Affiliate Links which we place in the reviews we publish, more on that over this page. We Making money from our content (from Amazon affiliates or Any other affiliate Company or Advertisement Agencies like Google Adsense for that matter) DOES NOT mean we favor any of our sponsors in ANY WAY. The content/Reviews we publish are 110% Cold-Hard facts. We are Disclosing all of this, not because we have to, but because we WANT to let our readers know and be transparent about from where we are making money. 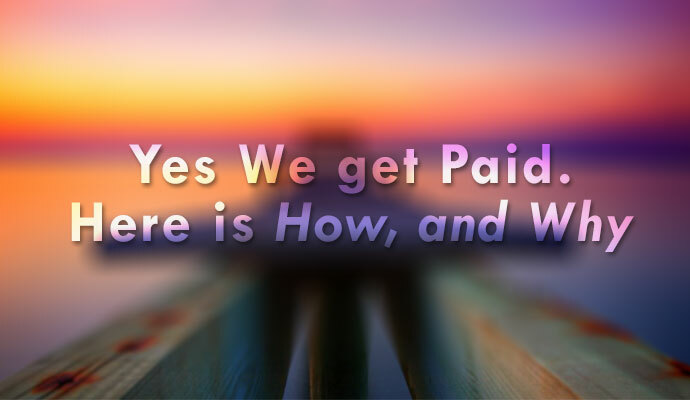 For the sake of it, We get paid doesn’t mean what we publish is biased in any way. In fact, sometimes we have to be harsh with companies trying to get us to write a Biased review of their Product/Positive Endorsement and slam the door on their face (the virtual door, umm, you get the idea). And, to state it again, we get paid because of the value we provide to our readers, to help them make a better buying decision. Another Reason to publish this Disclosure Policy is to ask our readers for help, in what way you might ask? Well, Bloggers and the team managing/updating this blog are humans and they need money to keep things running (web servers and bread and butter, both) and you guys can help us with that. You can help us out by buying the products you were gonna buy from amazon anyways, but this time, using our amazon affiliate Link, which helps us to earn some revenue while not affecting what you have to pay for the product. Yes, you get the same product in same price, like you were going to get before going through our affiliate link, but helps us a lot to keep things going. And for the sake of it, Here is our Amazon affiliate link, Again. If you wanna know more about our Blog and our Mission, Please Head over to our About Page and if you want to contact us, try our Contact Page.